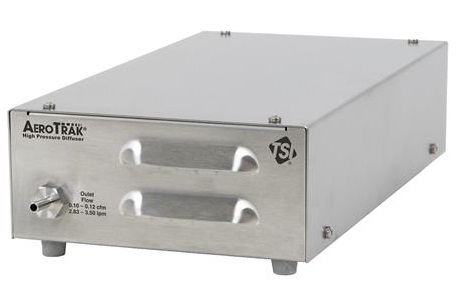 Extremely low false-count rate provides accurate 10 nm measurements at low particle concentrations to confidently monitor mini-environments and process gases—keeping manufactured products safe from nanoparticle contamination. 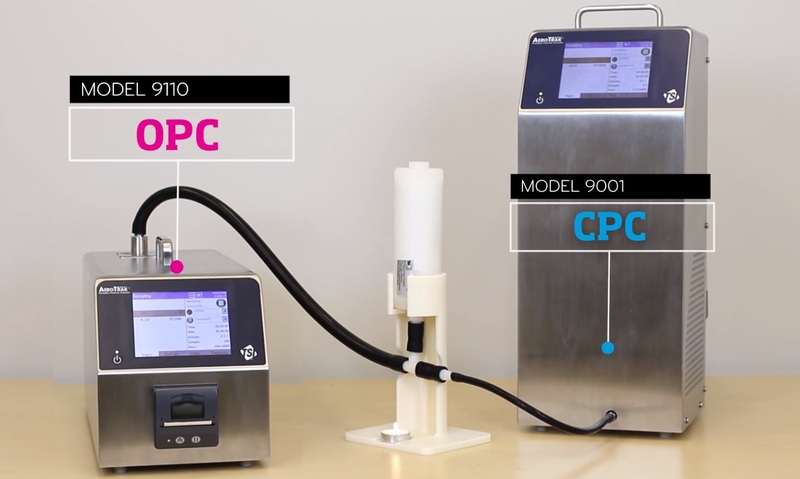 The AeroTrak® Cleanroom Condensation Particle Counter (CPC) Model 9001 is the only water-based, laminar flow, high flow rate instrument on the market—providing the confidence needed for monitoring critical environments. Using patented technology, the instrument provides 10 nm sensitivity at a 0.1 CFM (2.83 LPM) flow rate. With an ultra-low false count rate, the AeroTrak 9001 Cleanroom CPC is ideally suited for the low particle concentrations found in ISO Class 1 and Class 2 environments. ...need to measure particulate contamination in high-pressure compressed gas systems within a semiconductor manufacturing space? It's possible with use of our Model 7950 High Pressure Diffuser accessory.